Through our years of experience, when installing an 8.8 Ford rear differential in a Jeep, it is very important that the rear driveshaft angles are correct for your suspension design. Ford 8.8 rear differentials were made for street and light duty off-road, not for extreme off-road use. The rear flange on the 8.8 was not made to accept excessive angles. If the angle is not set correctly, under torque or deceleration, the rear slip yoke will come into contact with the rear 8.8 flange and break the back of the slip yoke off like the pictures below show. 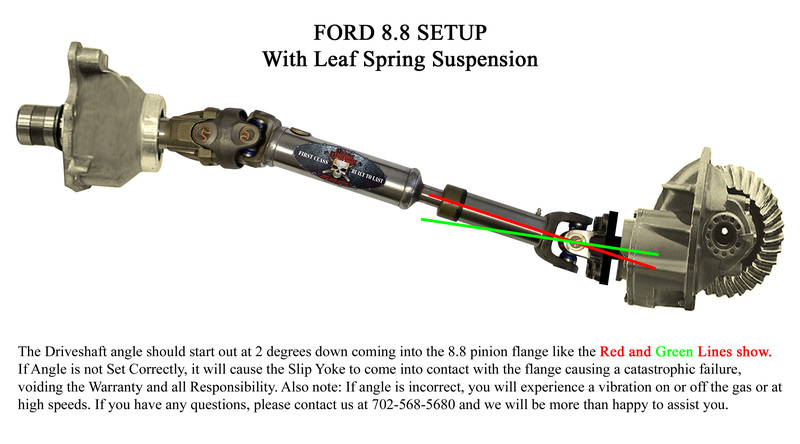 The ford 8.8 flange does not have the same angle as most OEM pinion yokes that came on Jeeps, so you need to take extra precaution when setting the rear angle. It is easier to set the rear pinion angle correctly after you have installed the rear driveshaft. Depending on your build and application, the angles are set different. Example: Angles on Jeep YJ and XJ with leaf springs or SOA should be set at a different angle than a TJ with coil springs. 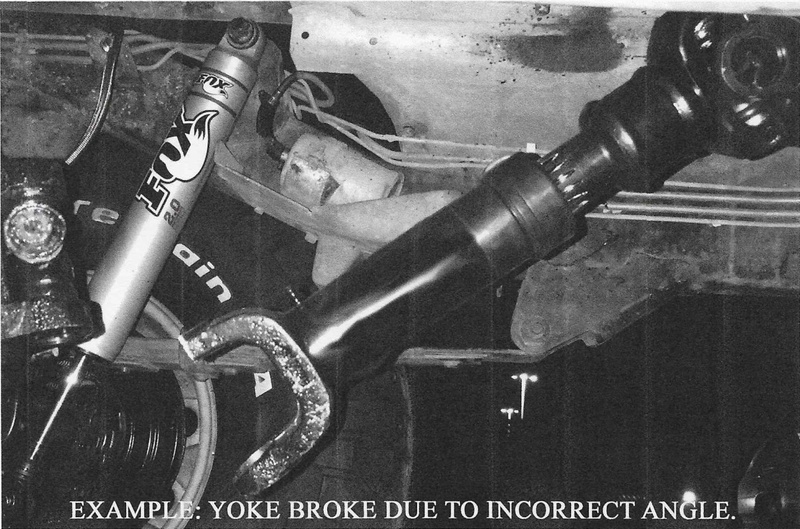 We will be glad to help you with setting the angles so you will not have any issues with the driveshaft. 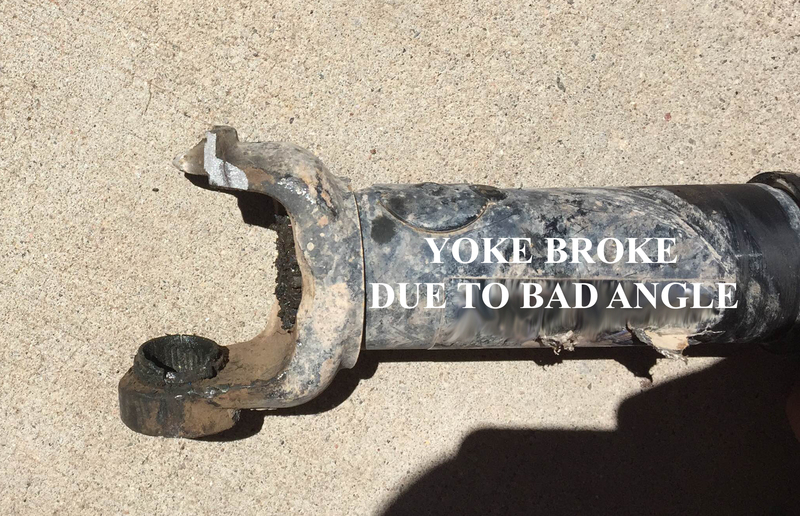 If the rear of the slip yoke breaks off, then unfortunately we Will Not be able to Warranty the driveshaft. The pictures below show where to start the angles off at depending on your suspension setup.